Sole/Feel: Here are where the biggest changes have occurred. The extended forefoot torsion system that I loved so much from the previous version has been removed and replaced with forefoot only Boost. 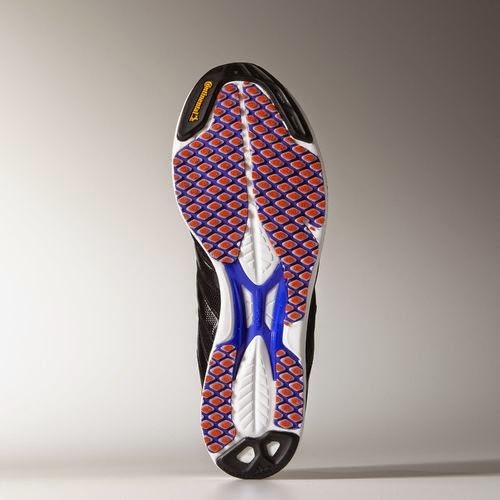 The Continental rubber in the heel has been reduced slightly and is only in the posterior most section of the heel along with a similar placement at the very distal forefoot. 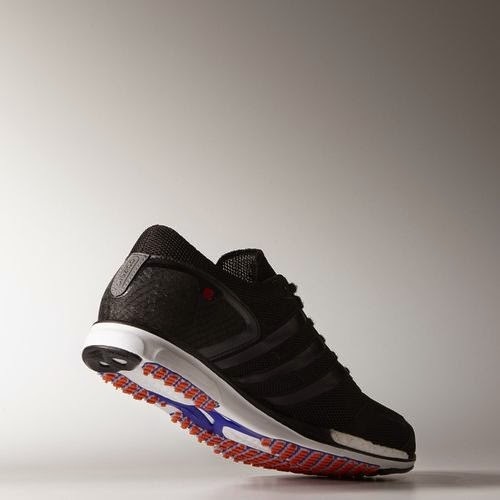 The midfoot torsion system similar to many traditional Adidas shoes has been put back into the midsole. The Quickstrike nubs that give the Takumi series such good traction are also located on the lateral part of the heel now (they used to only occupy the medial side) and overall seem to more of the outsole. The flex groves in the forefoot have been removed excepted for one long split down the center of the shoe. Not sure what that is supposed to accomplish other than maybe a guidance line similar to Asics (not sure if that works in any shoe). So enough jargon. How does it function? The Boost in the forefoot gives the sole a softer feel along with the newly added EVA in the midfoot and heel. Does the shoe still have the same awesome pop as the previous version? No. The removal of the extended forefoot torsion system reduced that in favor of the more protect Boost and EVA. The ride is now less aggressive and a bit more forgiving for those who like that. Am I a fan of the forefoot only Boost? It's ok, but not great. Luckily the consistency of the ride doesn't change too much, but Adidas may as well have tried something similar to the Adios Boost with Boost the full length of the shoe. Those who land on their heels will not engage it quite as much as forefoot strikers, so just be aware of that. It's still a good shoe for any footstrike. Upper/Fit: The upper is actually pretty decent. It does fit slightly closer to the foot than version 2, especially on the 4th toe. So it fits like a traditional racing flat with a lower volume fit. 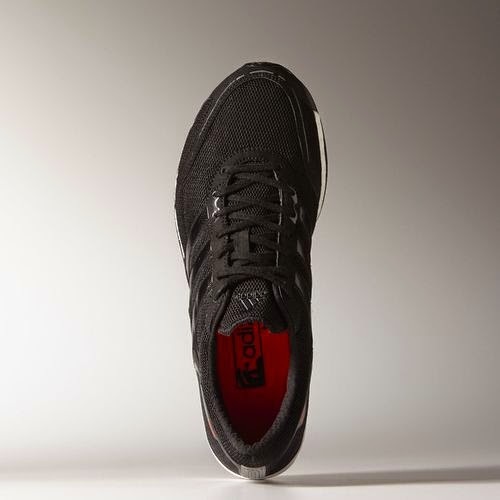 However, the upper does stretch with time and accommodates your specific foot shape nicely. It's not perfectly form fitting but it does a decent job. The look and quality of the upper is also fantastic. I have not seen any issues with seams and it still looks brand new after many miles of vigorous use. The heel counter that I loved so much in the previous version has been replaced. It now does extended farther forward around the foot, but it is more flexlible. For those who hate firm heel counters, this will be a good thing. For those who liked their foot to be locked in and their calcaneus stabilized.... it won't be so good. This can be compensated for by using the last eyelet for the laces and lace locking the shoe, but is not as a good a hold as the Sen 2. Responsiveness: This is a racing flat, so it has a responsive feeling. As I mentioned earlier though, despite the forefoot Boost, the midsole is nowhere near as responsive and poppy as the previous version. The Boost midsole and EVA does give it a softer feel and is still fast, but I personally prefer the extended forefoot torsion system and firm midsole. In fact I don't know why Adidas didn't just combine the two of those. It's not to say this shoe isn't fast as I still ran a 15:31 5k in them (while in moderate but not great shape), so they get the job done. They have worked very well for all kinds of workouts, but I have not taken them out for longer runs as to me that is not their purpose. Could you do that? Yes. There is enough minimal cushion for those used to more minimal shoes to do that. Would I? Maybe... but I personally prefer them for workouts and 5k-10k races. Heel-Toe Drop/Ramp: Even though the shoe is listed at having a 6mm heel drop, it feels a bit flatter than that. 2-3mm isn't a big deal, but the Takumi Sen 2 does feel more like a 3-4mm drop shoe (in case you really care about those kind of details). It feels like a typical low drop racing flat similar to the Saucony A6, Mizuno Ekiden, etc. Durability: Like I mentioned earlier, the durability of the upper is great. No issues with seams and it has adapted to the fit of my foot a bit better with some use. The Quickstrike nubs have not worn down near as much as I expected and the Continental rubber in the heel and distal forefoot is holding up well even after almost 60 miles of vigorous running. I have not used these for any easy runs, so these have been put through their paces. There is some wear on the heel nubs and a bit in the central forefoot, but overall the Sen 3 is doing good durability wise for a racing flat overall. The sole could be better based on the price ($160.... forgot to mention that), but the upper is definitely represents the price point. So durability wise this is good for a racing flat. Weight: The Takumi Sen 3 is listed as a low 6 ounce shoe according to various sources. They do feel as such but due to the softer feel from the Boost they don't initially feel as light. I say that as someone who can be overly sensitive to changes in firmness and loved the firmness of version 2. As I mentioned earlier, the Takumi REN 3 (REVIEW) does feel a bit lighter but it is nowhere near as responsive (due to the muted Boost feeling). 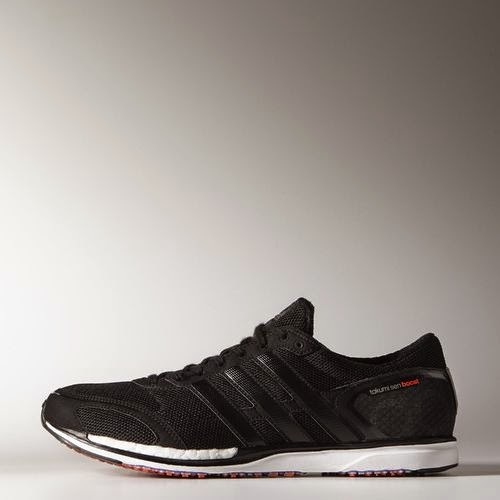 Thoughts as a DPT (Student): The design of this shoe is not that much different from the Takumi Ren 3, so for my thoughts on the midfoot only torsion system you can check out that review (see above). I really wish Adidas had left the extended forefoot torsion system in the forefoot. I know I've said that multiple times in this review, but the way that thing transitioned force forward during footstrike is awesome. The Adidas Adios Boost 2 (REVIEW) has this and it does a great job despite not being as prominent as prior versions of the Takumi series. It acts similarly to the plantar fascia ligaments of the foot and helps promote the windlass mechanism. The windlass mechanism serves to store and release energy in the foot produced by the lower extremity among many other functions (including support the medial longitudinal arch, prevent excess dorsiflexion, limiting subtalar joint motion, helping passively resupinate the foot and more!). The Takumi Sen 2 did a great job with that system because it worked with the body's use of torque and joint motion to propel you forward. The Boost is great, but you don't have a ton of rebounding cushioning under your metatarsals. There's nothing wrong with that and I do like it, it just could be better. 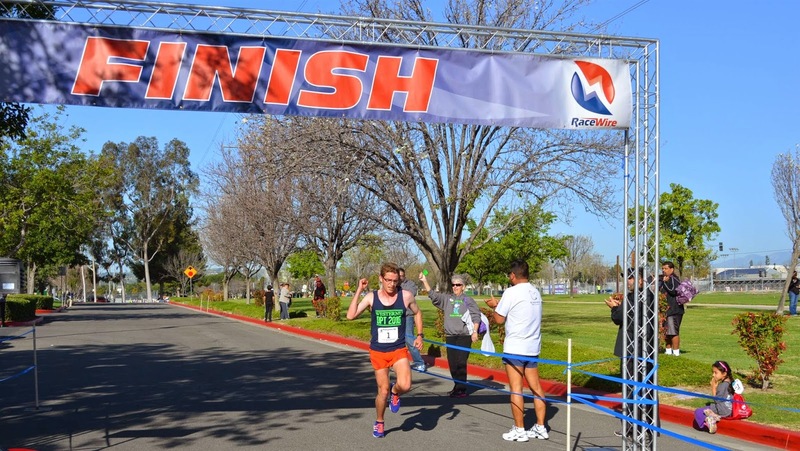 Winning the DairyAire 5k in Takumi Sen 3s. Triple Crown Champ 2nd year in a row! Final Thoughts: So is the Takumi Sen 3 a great shoe? Yes. I do enjoy racing and doing workouts in it. Is it as good as the previous version? In my mind not quite but it is growing on me. The major problem I have with it? It's expensive. $160. It is a high quality shoe though. 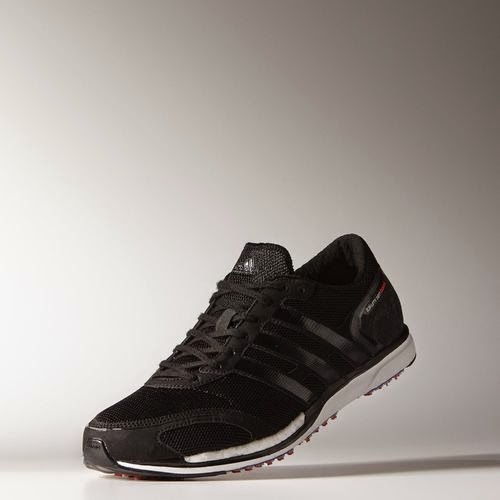 The upper is great, durability seems great for a racing flat, it's on the lighter side and does provide enough protection in my mind for up to the half marathon distance (your mileage may vary, but I have seen many Japanese marathoners take these all the way through the marathon distance recently). So it does have the same range as the previous version. This is the shoe those of you have been looking for that thought the Adios Boost had too much heel drop and was too heavy. If you have the money I would definitely consider a pair. Is it more responsive than something like the Saucony A6, Mizuno Wave Universe 5, Saucony Endorphin Racer, New Balance RC 1600/5000 and more? I don't know. It's a cool shoe though. I guess you're paying for a Japanese racing flat. They do know how to do high quality over there. So if you have the chance I would definitely try a pair on. I am a little sad and have probably come across a bit negative in this review based on the changes from the previous version. I do like this shoe, but I want to see the return of the awesome responsiveness I associate with the Takumi series. We all make little mistakes and Adidas is no different. I am been a bit disappointed by the 3rd versions of the Takumi series, but I still have high hopes for version 4 of both the Ren and Sen. I hope others give them similar feedback and they make a comeback. Until then I will continue to enjoy racing in these until their last step. UPDATE 7/25/15: I have been using these for all intervals workouts and even some longer tempo runs. They have grown on me significantly and will continue to be a shoe I use for 10k races and up. The responsive cushioning is enough that the shoe could easily handle 10k-half marathon distances and as I begin to run more of those races, these shoes will be on my feet. These shoes were purchased for their full US retail prcie. I put at least 100 miles on every pair of shoes before I review them (except racing flats which I put on at least 50 miles). Currently I have 56 miles on my pair. *Images obtained from the Adidas Running USA website.